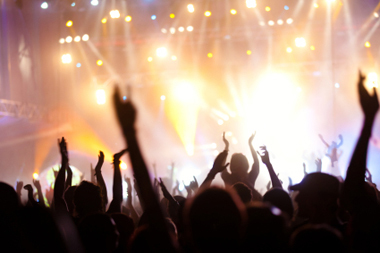 Dynamic Tickets offers truly personalized ticketing to all concerts, theatre and sporting events nationwide. For over 20 years Dynamic Tickets has developed strategic partnerships with numerous theaters, concert halls, artists, stadiums, and talent agents around the world giving us access to the most exciting experiences in live entertainment. We welcome individual and corporate accounts and provide immediate delivery of event tickets up to show time. We also offer hospitality services including pre show entertainment and exclusive restaurant and luxury accommodations. We service Fortune 500 corporations as well as the average consumer. We treat everyone with the same degree of importance. Our track record over the years speaks for itself. We aim to achieve only the highest level of satisfaction. Referrals and repeat customers make up a large part of our business. Our success through good and bad economic times is testament to the loyalty of our consumers. Dynamic Tickets offers live event inventory online at www.dynamictickets.net. We also buy and sell tickets to all New York metro area events. Our inventory system is connected to hundreds of other ticket broker's websites giving your tickets maximum exposure increasing the odds of getting you the most money possible for your tickets. Everyone that works at Dynamic Tickets has vast knowledge in his or her area of expertise. With our combined talents and abilities, we provide superior level of customer service and satisfaction. Most tickets we sell are not directly purchased from the venue at which the show is being held. The prices listed on the tickets for sale on this site will vary based on individual sellers and may not reflect the initial ticket price in most cases. Dynamic Tickets is an independent licensed ticket agency with no affiliation to Ticketmaster, Telecharge, any venue or box office.